Right. Okay. So, I KNOW that February 14th is not very long away. 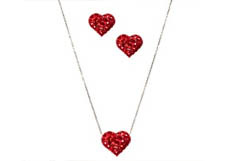 And this might LOOK like a Valentine's Day themed post. But it isn't. But you know what? I LIKE heart print stuff. I like red. I like pink. And whatever holiday Clinton's is promoting that week does not make a difference to the things that I like, OKAY? Unless it's Christmas. Christmas rules. Also, you get like a week off work. You don't get any days off for Valentine's Day. BECAUSE IT IS NOT A REAL HOLIDAY. Anyway, this covers what I think of Valentine's Day. But now that is out of the way... LOOK AT ALL THESE PRETTY THINGS THAT MAY OR MAY NOT BE APPROPRIATE TO WEAR ON THAT DAY OR ANY OTHER DAY. I love this dress so much. Sleeves, an amazing cut and HEART PRINT. Loooveeee it. LOOK AT THESE BAGS. I get sent quite a lot of press releases by email, and I normally don't share the contents with anyone, but these? OOOOH. They're satchels! They're heart print! I must have them all! 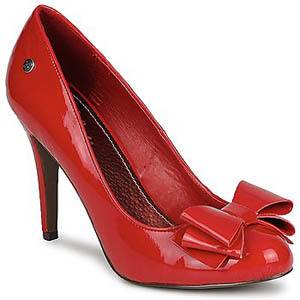 These shoes do not have hearts on them, but they are so pretty and shiny and red and girlie that, screw it, I'm buying them. I'm buying them right now. 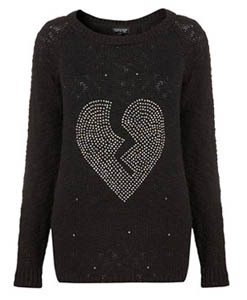 I was just about done and then I searched 'heart' on ASOS and then this happened. So, just so we're clear. I LOVE LOVE. But not Valentine's. Got it? *stern face* Good. Aw man. 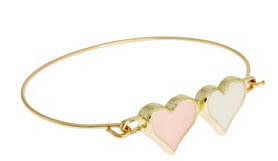 I love a good heart print. But I highly dislike Valentine's with almost every fibre of my being. Love that dress, I'm definitely partial to a good heat print :) I feel the same about Valentines! 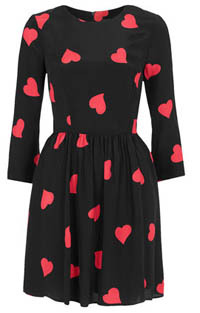 That dress is so pretty, and I adore the new Zatchel collection - pink, red and has hearts, what's not to love?! I'm completely with you on the Valentines thing. I don't see the need for a special day to tell someone you love them or make them feel special - surely that's just what you do anyway right? It also just seems like an excuse for people who are single but want to be in a relationship to be miserable, because apparently that one days makes a difference. - Apologies, rant over! 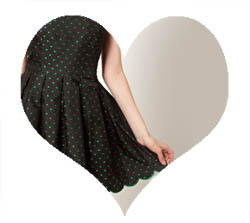 I am obsessed with heart prints, like seriously obsessed! I can't even get over how much I want ALL these things. That red satchel is the best bag I've seen in a long long time! Adore the Topshop dress! Not supposed to be shopping/spending for the remainder of the month but I think an investment won't hurt! Books Are Amazing... January Edition! I'd pay any price just to get you. You know that I would love to see you next year.